Original Cocktails Giveaway! / Gee Whiskers! Congratulations to Samantha Pillay who has won the Party Pack of Cocktails!!!! There is nothing like a cool refreshing cocktail on a hot summer's day. I was fortunate to be sent a Pina Colada and Strawberry Daquiri pre-mixed cocktail packs from Original Cocktails. These are really amazing cocktails! Made with real fruit juice these cocktails taste so delicious. 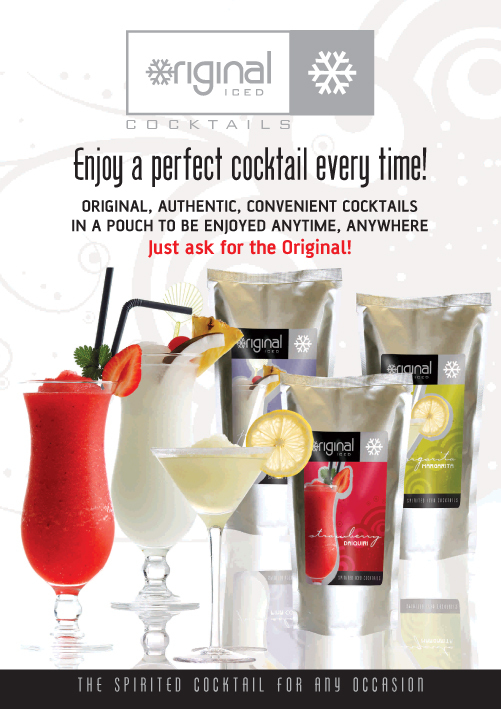 I was also lucky to receive a Party Pack of of pre-mixed cocktails to give away on my blog! The party pack contains 6 300ml cocktails that can be popped into the freezer or fridge to be enjoyed whenever the mood strikes you. All you have to do to win the Party Pack is pop on over to the Original Cocktails website and leave a comment telling me what your favourite cocktail is. Additional entires can be earned via twitter and facebook - simply use the tool below to accumulate all your entries. Competition runs for 1 week - entries close on 8 March at 11:59PM. I will draw the name of the winner on 9 March 2013. Only South African residents can enter to win. Also, please note that only people over the age of 18 may enter. Remember to always drink responsibly! I'm a Cosmo kinda girl :) LOVE! Absolutely LOVEEEEEEEEEEEEEEE the Mojito, my everyday any season cocktail from Original Cocktails....place in freezer for a while and then snip and pout YUM!!!!!!!!!!! Strawberry Daiquiri!!! Yum yum. And frankly I need a drink most of the time to counter the stress of little people giving me grey hair. I'm definitely a strawberry daiquiri kind of girl! I love my cocktails! Yummy! And need my cocktails dealing with all the work I have an stuff! I just love the Mojito Original Cocktail! SOOOOOO Delicious!! !